After marching around the broad streets of Phnom Penh for the better part of a morning, without any real goal in mind, I decided to have a look inside a Western-style store called Pencil. There in the book section I stumbled across a handful of colorful, eye-catching pamphlets, which quickly revealed themselves as the gorgeous works of art that are Khmer comics. I moved to Phnom Penh with my husband six months ago and thought I was pretty clued up on a lot of the good local spots to eat and explore in this region. 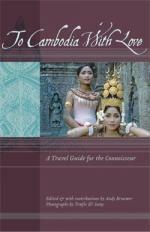 But, after reading Andy Brouwer’s new book, "To Cambodia With Love", I now have a host of new places to add to my list. A unique style of guidebook for Cambodia has just been published by ThingsAsian Press. It's called To Cambodia With Love. It lets you discover the secrets of savvy expats, seasoned travelers, and inspired locals. With its unique insights into dining, sightseeing, secret places and culture, To Cambodia With Love is a one-of-a-kind guide for the passionate traveler. In this essay from the book, the editor meets an icon of classical Cambodian dance. Yes I know its a football-related post but it's also a book-related post, so I've posted it here too. 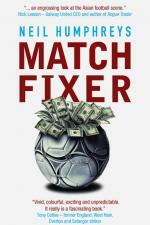 If you have any interest in Asian football at all, you must get a copy of Neil Humphrey's debut novel, Match Fixer. Even if you can't stand football - yes there are some people like that out there - but fancy a really good read immersed in the exotic Far East then Match Fixer will provide that too. Just treat the football as incidental. Naive and idealistic, relief worker Amy Mallory arrives in Kabul ready to change the world. 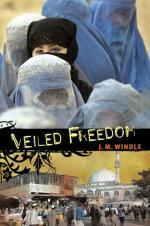 She soon discovers that as a woman in Afghanistan, the challenges she faces are monumental. As the new security chief to the Minister of the Interior, former Special Forces veteran Steve Wilson is disillusioned to find that the country he fought to set free has fallen into its old habits of greed and corruption. Afghani native Jamil returns to his homeland seeking a job while his painful past continues to haunt him. All three search for truth . . . and for freedom . . . but at what cost?